And who said that being historian is boring? Oleksandr Pustovyi is and intern of Foundation for Somalia. 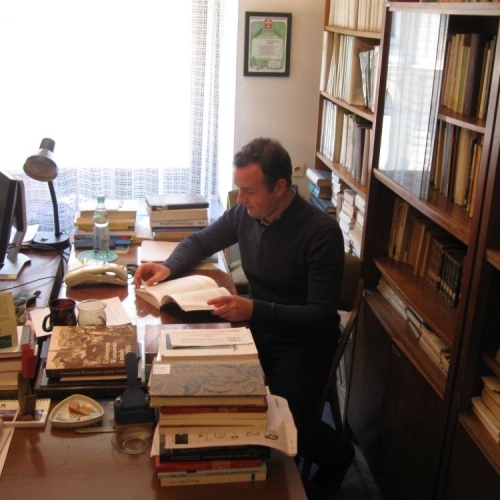 He works for the History Institute in the Polish Academy of Sciences as a visiting researcher within the project Colonial conceptions in works of Polish historians. Simultaneously he develops his PhD thesis in history. Oleksandr comes from Ukraine. He did his Master’s degree in history. For the future he plans to continue an academic career at the university. Currently he investigates the secrets of Polish historian and chronicles. He spends thus a lot of time in old historic books. Impressive, isn’t it? Paid internships in the Foundation for Somalia are implemented within the VOUCHER for Your Career project, co-financed by the European Fund for Integration of the Third Countries Nationals and state budget.